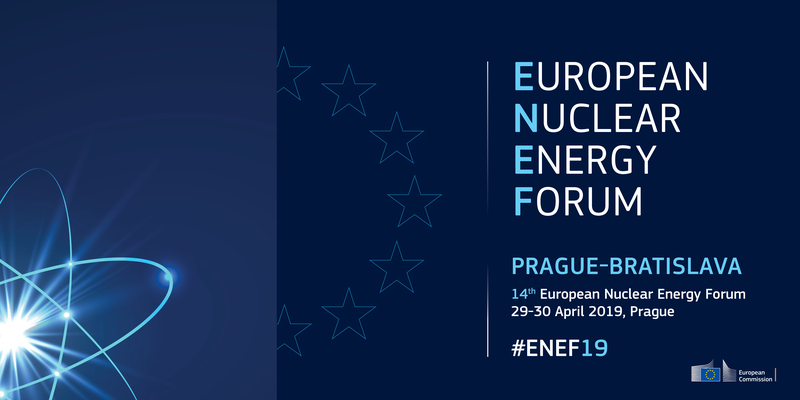 The European Nuclear Energy Forum (ENEF) is a unique platform for broad discussion of the opportunities and risks of nuclear energy. These discussions are linked to the energy challenges faced by the EU and its countries and in particular to the role of nuclear energy within the strategic framework for the Energy Union. Founded in 2007, its annual meetings take place alternatively in Bratislava and Prague. These are open to everyone with an interest in nuclear energy, including EU governments, European institutions such as the European Parliament and the European Economic and Social Committee, representatives of the nuclear industry and regulators, electricity consumers, and civil society. ENEF is a transparent platform and will offer the opportunity to follow the event discussions through live web stream. In addition, the interactive tool Sli.do will make it possible for everybody interested to anonymously propose questions, participate in polls and express their opinions during the event. The application can be downloaded on a mobile device or used on a computer. The 2019 conference will focus on the topic “Ageing and long term operation of nuclear power plants in Europe - challenges and opportunities” and “2050 Long term strategy”, as recently outlined in the strategic long-term vision for a prosperous, modern, competitive and climate-neutral economy by 2050 – A Clean Planet for All. Registration is open and will close on 18 April 2019. Journalists please contact Ms. Švehlová (svehlova@mpo.cz) for accreditation. Already today you can ask (and discuss online) the questions that you would like to hear answers to. The questions will be answered by the speakers in the order based on the count of “likes”, starting with the most liked question. Due to the personal data privacy rules we would like to draw your attention to the privacy statement. It describes the data we are collecting from you during ENEF registration and ENEF conference and how we handle them. Traditionally, the conference language will be English with Czech and French interpretation.